The price of the benchmark fell slightly in a week with relatively low trading volume. We continue to follow the most important yields and municipal/Treasury spread ratio. Most of the funds from the sector are traded at positive Z-scores, and we do not see a statistical edge to include some of them to our portfolio. Over the past few months, most of you have noticed our increased activity in closed-end funds as the inflow of volatility finally shook them up and created various arbitrage, and directional, opportunities for active traders like us. Currently, we are cautious when we choose our long positions as most of the closed-end funds which hold municipal bonds have lost their statistical edge and are traded at positive Z-scores. However, there are several interesting pair trade opportunities which can be traded. For the conservative market participants with longer investment horizon, I still see interesting dividend opportunities which are traded at high discounts. Uneventful week for the sector which is not going to be remembered with any significant changes in prices of the closed-end funds. As a benchmark, we track the performance of the iShares National Muni Bond ETF (MUB). The main index remained motionless and reported a slight decrease of $0.07 per share. 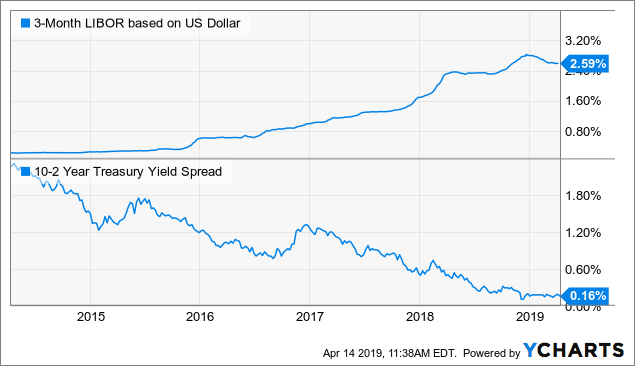 Since the beginning of April, the benchmark is ranging around the current price of $110.67 as the 10-year Treasury yield bounced back from its bottom for the year. As you know, the municipal bonds and the closed-end funds which invest in them have relatively high duration compared to the high-yield and corporate bonds and the changes in the Treasury yields are one of the important factors for their performance. 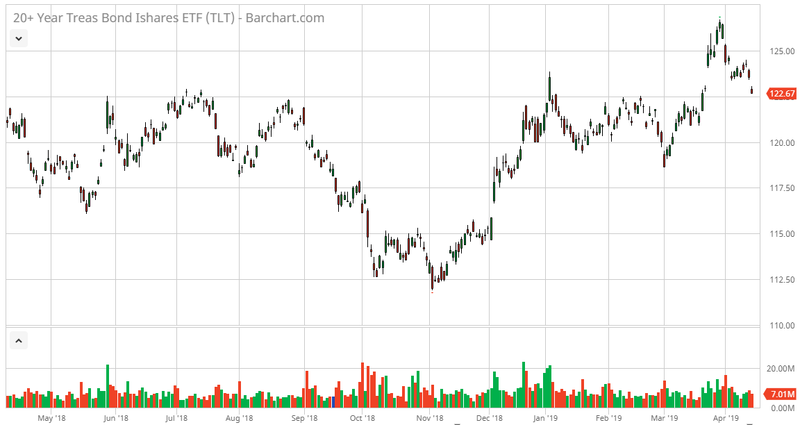 As you know, we follow the performance of the U.S. Treasury bonds - considering them a risk-free product - with maturities greater than 20 years: the iShares 20+ Year Treasury Bond ETF (TLT). The reason for that is the strong correlation between these major indices, and the chart below proves it. Additionally, a statistical comparison is provided by our database software. 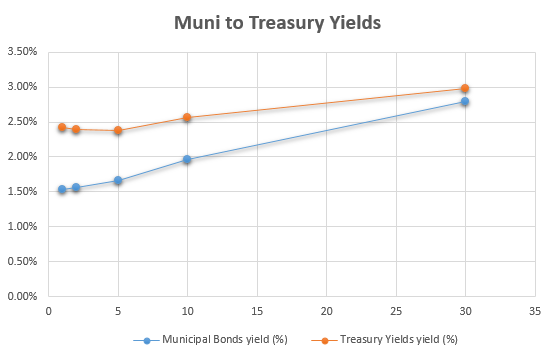 The Municipal/Treasury spread ratio, or M/T ratio as it is more commonly known, is a comparison of the current yield of municipal bonds to U.S. Treasuries. It aims to ascertain whether or not municipal bonds are an attractive buy in comparison. Essentially, an M/T ratio north of 1 means that investors receive the tax benefit of muni bonds for free, making them even more attractive for high net worth investors with higher tax rate considerations. The narrowing spread and 3-month LIBOR are important for the leveraged municipal funds, and they can be highly affected by them. The 3-month LIBOR rate is a commonly used funding benchmark for the municipal bond CEFs. Over the past week, Federated Premier Municipal Income Fund (FMN) has declared a dividend of $0.0540 per share. 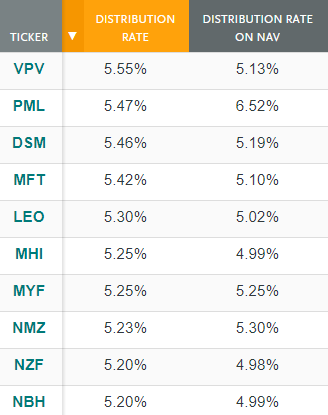 We can not see very often a PIMCO fund to be among the funds with the lowest Z-scores. However, after the announced dividend cuts PIMCO New York Municipal Income Fund II (PNI) and PIMCO California Municipal Income Fund III (PZC) are traded respectively at Z-scores close to zero. 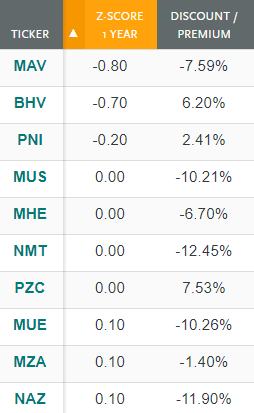 As I reminder I will say that the biggest dividend cut was exactly for PNI. The change from the prior dividend was -26.58%. They are still trading at a premium so I will not rush not review them as potential "Long" candidates. If I see an additional decrease in their prices and the statistical confirmation, we can form a pair trade. 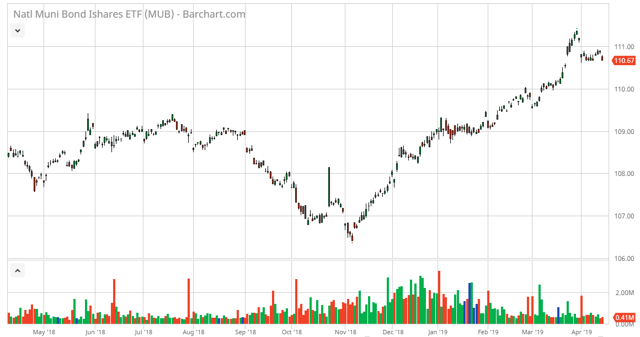 BlackRock MuniHoldings Quality Fund (MUS) and BlackRock MuniHoldings Quality Fund II (MUE) are interesting options which can be reviewed as a potential "Long" candidates. 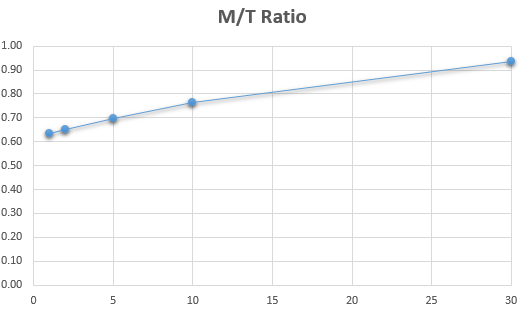 Currently, their earning/coverage ratio remains pretty close to the important border of 100% which is an indicator for the maintenance of the future dividend and most of the market participants analyze when they suspect potential dividend cut. 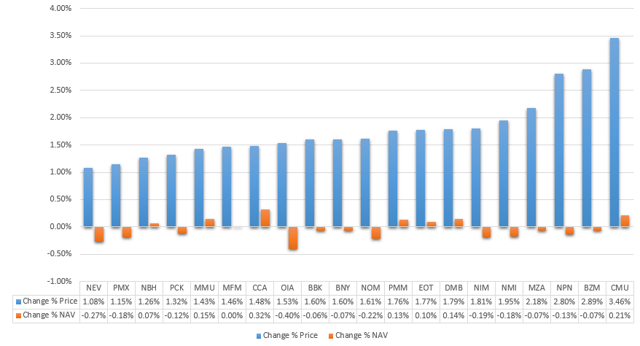 The charts below prove that MUS and MUE are undervalued compared to their peers based on the discount/premium metric. Here, sorting the funds by the highest Z-score in order to find "Sell" candidates. It is difficult to say whether some of the Munis are overpriced at that moment, but to be honest, I do not want to have naked sell positions in such an upward trend. 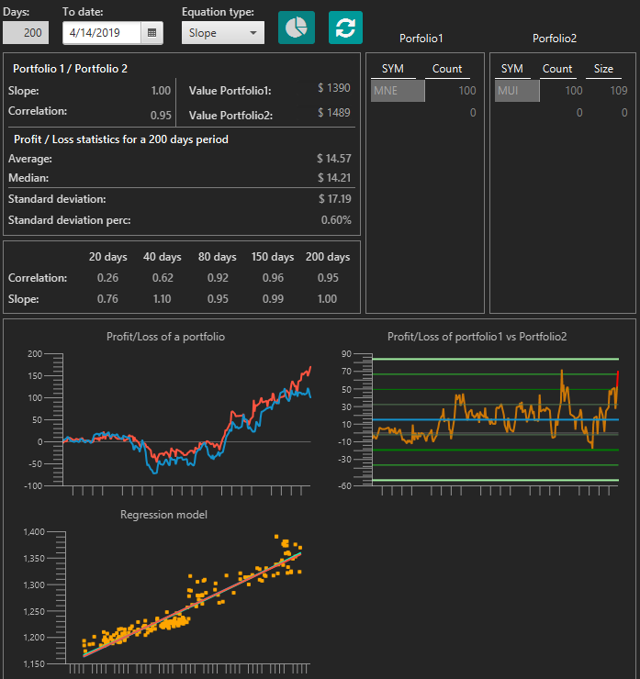 Therefore, if you believe in the power of the Z-score and you want to review the funds with the highest Z-scores as potential "Short" candidates, I suggest to trade them as arbitrage pairs. Several words about Pimco California Municipal Income Fund II (PCK). Quite a long time this fund was neglected and it was traded even at a slight discount. Most probably because the rest of the PIMCO funds offered higher current yield and despite their high premiums the greed took control over the mind. Now, it is obvious that this game is not endless and dividends cut are a reality. 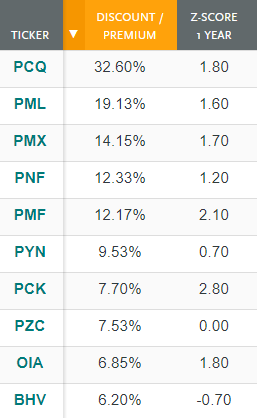 PCK is again on focus and its increased its price by 1.32% on a weekly basis. My simple assumption is that the market participants moved their positions from the PIMCO funds where we saw dividend cuts to PCK. Currently, the earning/coverage ratio of PCK is 142.86% which is impressive. I do not expect to see a decrease in the dividend in PCK soon. 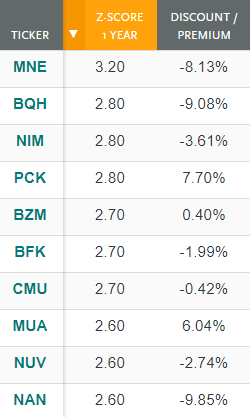 BlackRock MuniAssets Fund (MUA) is a fund which I recommend to avoid at these levels. Furthermore, if you have a long position you may think about closing it if you want to keep the capital gain. I think it is overpriced compared to its peers and it Z-score indicates exactly this. In the end, a pair trade suggestion based on our statistical software. BlackRock Muni New York Intermediate Duration Fund (MNE) is traded at very high Z-score of 3.20 points. 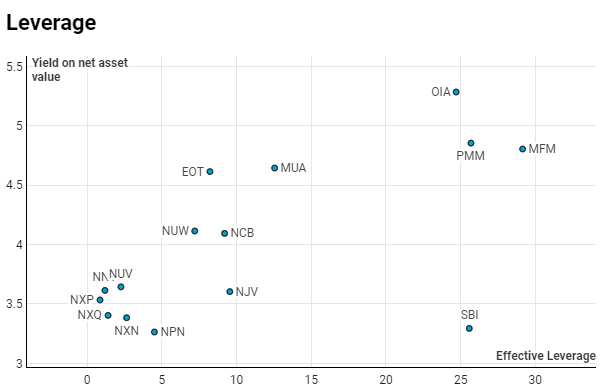 I found a very strong correlation between the net asset value of MNE and BlackRock Muni Intermediate Duration Fund (MUI) and three standard deviations from the mean of their prices. 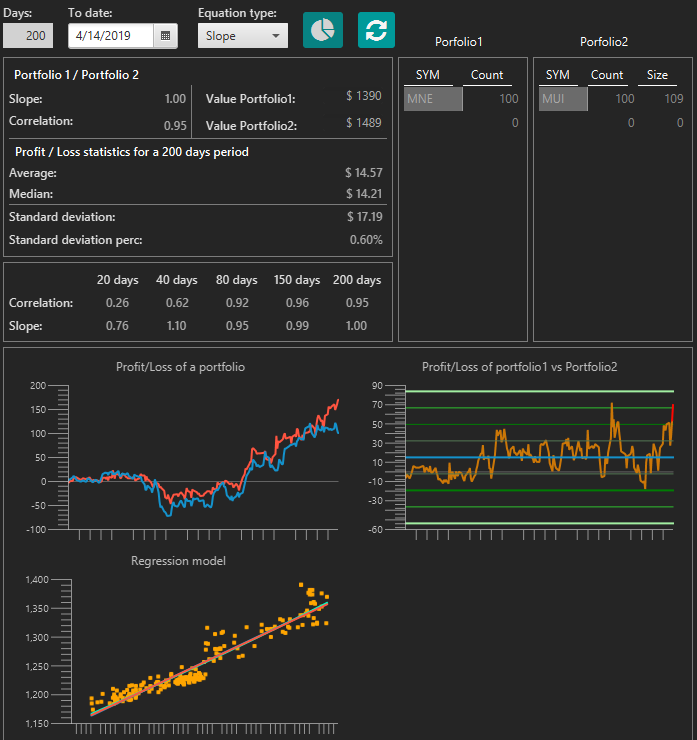 Based on the statistical model, you can take a long position in MUI and short position in MNE. The desired outcome will be mean reversion between their prices. We have a new leader in this ranking. 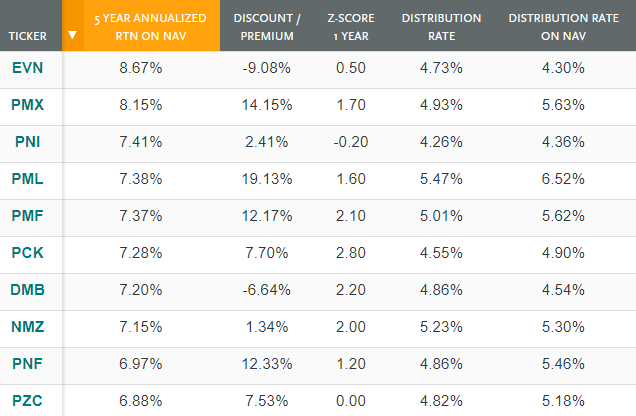 Nuveen Michigan Quality Income Municipal Fund (NUM) has increased its discount by 0.41 bps and is taking the gold medal. Compared to its historical values, the spread between the price and the net asset value is significantly widened. Inevitably you will notice that most of them are state specific municipal closed-end funds. 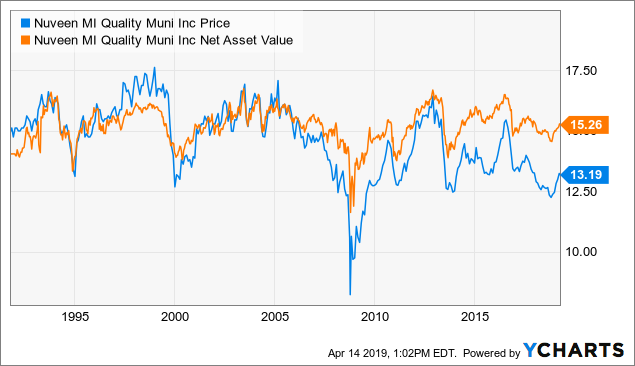 The national Munis are traded at a lower discount and the additional diversification may be the reason behind this fact. Based on their attractive discounts, all of the funds above deserve attention, and I think it is worth it to spend some time here if you are looking for new additions to your portfolio. PIMCO funds continue to be the ones which are traded at the highest premium. The trust in the management team and the good past results are one of the main reasons why the market participants want to have them even at a price higher than the net asset value. The most interesting question is about PIMCO California Municipal Income Fund (PCQ) and if it is possible to sustain this premium. I am not going to delve into fundamental details because it is difficult is to predict when the management team will decide to decrease it. We can include into our discussion the negative earning/coverage ratio and still positive UNII/Share balance which can be used we can talk about this possibility a whole day. I think the conclusion is obvious. The management team of PIMCO is not magical аnd the funds work in a very similar way. We have already seen what can happen in PIMCO funds and I will recommend staying away from funds traded at so high premium. The risk/reward ratio is not in our favor. 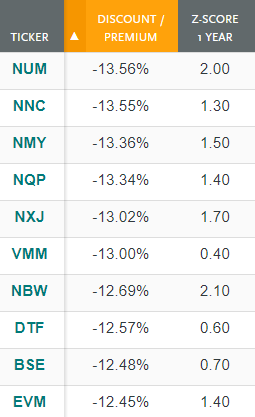 The above sample shows the funds which outperformed their peers. The average return on net asset value for the past five years for the sector is 5.24%. Аlthough PIMCO funds are one of the best performers, Eaton Vance Municipal Income Trust (EVN) achieved a higher return on its net asset value. 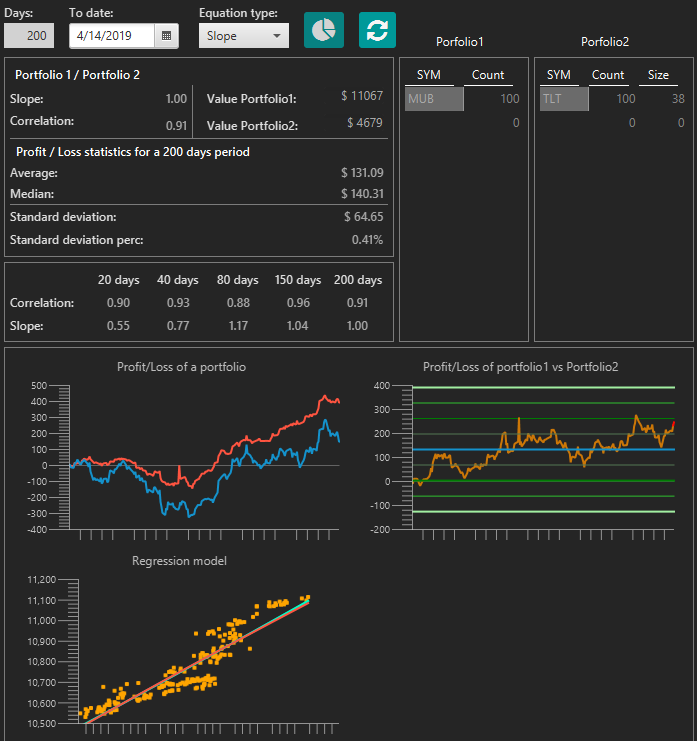 This closed-end fund is still traded at 9.08% discount and its Z-score is relatively low. If the historical performance of the fund is important for you, you will want to review EVN as a potential candidate for your portfolio. The table shows the funds with the highest distribution rate on price. Additionally, I have included here the distribution rate based on net asset value. Most of the market participants find the second metric to be more important. The average yield on price is 4.49%, and the average yield on net asset value is 4.23%. The average effective leverage of the sector is 36.4%. Logically, most of the funds with lower effective leverage have lower distribution rates compared to the rest of the closed-end funds. Seven funds from the sector have effective leverage equal to zero. 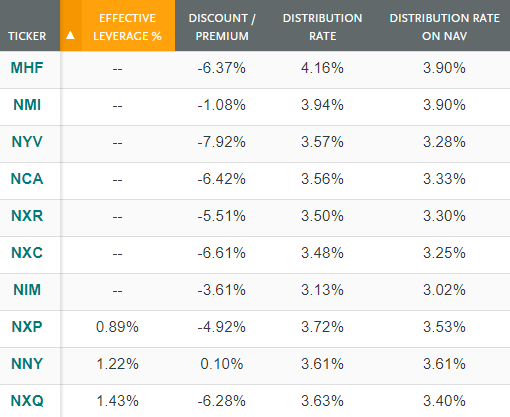 Below, you can find the chart of the funds with the lowest effective leverage and their yields on net asset value. If you are not a big fan of the high leverage, this chart will be very helpful. Compared to the previous years, the discounts of the closed-end funds holding such products have significantly widened but we remain cautious when we select our long positions due to the high Z-scores in the sector. However, there are several interesting pair trades which you can review. Note: This article was originally published on April 14, 2019, and some figures and charts may not be entirely up to date. Disclosure: I/we have no positions in any stocks mentioned, but may initiate a short position in PCQ over the next 72 hours. I wrote this article myself, and it expresses my own opinions. I am not receiving compensation for it (other than from Seeking Alpha). I have no business relationship with any company whose stock is mentioned in this article.